We are in the home stretch! We have only 3 1/2 days left, but I think it is the busiest week yet. This morning the 4th grade is attending a swim party. I leave for the school shortly for a luncheon and Survivor Party. It is a big bash because they move up to the next building for 5th grade. The kids are going to be exhausted at the end of school. Then tonight my 6th grader as a special farewell to 6th grade as he moves up to next building for 7th. Tomorrow, I greet for the last time in 4 years. =( I loved greeting and will miss it. Our school had greeters at the front door since 9/11 happened. We greeted people enterting the building and had them sign in, answer questions etc.. I met a lot of parents I might not have met had I not been a greeter. 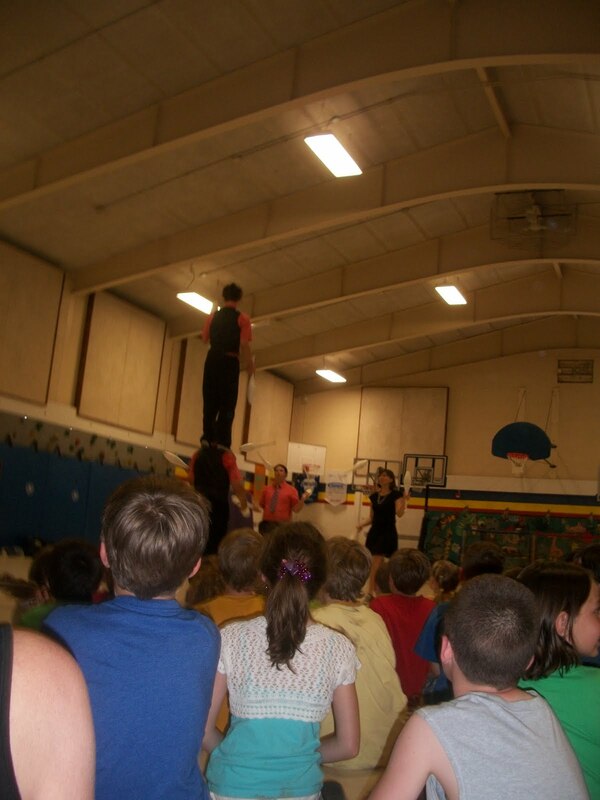 On Thursday we have the talent show dress rehearsal and then Friday is the big show. Throw in a few other activities like an appt, and dance class and we have a very full schedule. I will be posting as much as I can though, so stay tuned. Kara is having a birthday in about a month. She has been undecisive on a theme for quite some time. Today, I am happy to say, we have a theme. She is getting at an age when some theme are just too young. I suggested a beach themed party, and she loved the idea. I love that the dollar store has so many great things right now that are perfect for this theme. Since we are not really limited with a particular color scheme, we are going with bright colors such as orange, pink, blue and yellow. I found 2 packs of 20 pk orange plates for $1 each. Orange is one of our high school colors and they were in the graduation aisle in seasoal. There are many luau and beach type items in seasonal as well. I thought the Surfs Up sign would be a cute decor item. I also found serving trays in various colors and a tiki plate. The pink item in the bottom right of the picture is a cardboard cupcake stand. She also picked up 2 packs of invitations. While they did not have invites that fit our theme, she did find one that she absolutely loved with dogs and cats in bright colors. I did not push to have a "beach invitation" for a couple of reasons. A big reason is the cost. 2 packs of invites were only $2. It would be hard to beat that price. Another reason is time. With end of school chaos, Beading for Autism, a garage sale and a dance recital in the next three weeks, I know my schedule is already pretty full. Sometimes its okay to give in. At first I thought I would use sand buckets as our "goody bag". I then saw these really cute tote bags that were perfect for 9 and 10 yr old girls. Each girl will get a beach bag filled with beach type items. The dollar store carries cute water bottles, beach balls, flip flops, visors, and sunglasses. We are going to have each of the girls embellish a pair of flip flops as a craft. The Dollar Tree also had some fun activies. We found hula hoops, badmiton rackets, water ballons and more. I will use these to come up with some fun beach themed games. We went next door to JoAnns. They were having a great Memorial Day Sale and I had an additional 10% off coupon. I fell in love with the flamingo. Did we need it? No. But could I found a reason to use it when it was 60% off plus the extra 10%. Yes. It was normally $19.99. I got it for $7.20. I plan on using it as a centerpiece of one of the tables. We also got a super deal on the visors. They are normally $1 each. Today they were on sale for buy 3, get 2 free plus the extra 10%. The final cost for each visor was only .54. We also found some cute beach themed masks that we will use in come capactity. They were on sale for only .80 each. I have many ideas that I do not have pictured yet. I have game ideas, food ideas, treat ideas. Over the next few weeks, I will be sharing those ideas here. Slider recipes were all over the morning shows this morning. 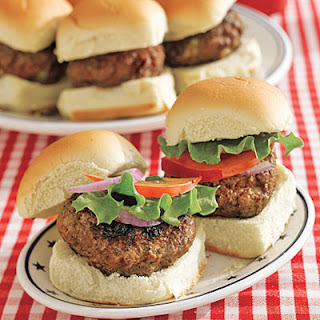 Sliders are the perfect size burgers for picnics and cookouts. If you would like to see how to make this recipe, you can see the recipe from All You and Myrecipes.com here. How about dessert? This patriotic fruit truffle is perfect in for today in red, white and blue. You can see how to make this on FoodNetwork.com here. 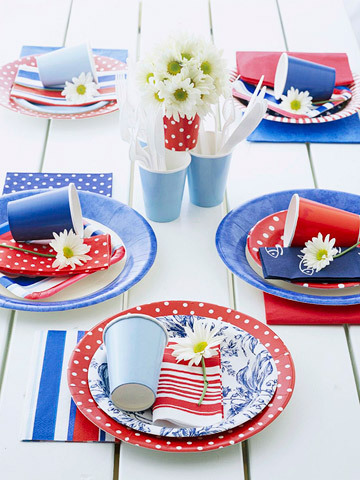 How about some patriotic decorating ideas? You can find how to make this patriotic table and seveal other ideas on Better Homes and Gardens here. 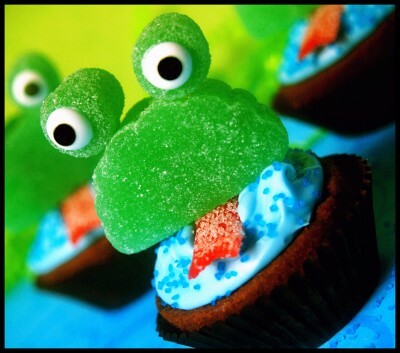 I have seen these frog cupcakes from The Seven Year Cottage on several linky parties this week. I think they are super cute and would be a great addition to many types of parties. I you would like to see how to make them, check out the The Seven Year Cottage here. I love this picture of my daughter. 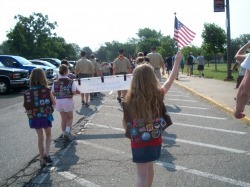 She was in the parade last year and was so proud to hold up her American flag. May we always remember. Around dinner time tonight we had a tornado warning. After last weeks massive tornado in Joplin, where a lot of my family lives, we took the warning seriously. Also I think, because of the tornado, we were given warning way in advance of the storm heading our way. As as the sirens went off my son held on to his DSi he got for his birthday. He told me it was too important for it to blow away if we did have a tornado. He hung on to it for over an hour. He didnt care if anything else blew away, just as long as his DSi was safe. I also found out our youngest daughter's priorities. She was worried about her sonic characters and webkinz. Since we were watching the storm on radar, I knew we had a few minutes. I allowed her to take a minute to collect her "friends" in the family room and bring them downstairs. At least we had something soft if we had needed them. Early today I spent most of the afternoon getting my vegetable garden in. It was quite an accomplishment if you saw what the garden looked like just a few days ago. Here is the before picture. The garden was over run by weeds and grass. Its for the most part, cleared out now and looks 100% better. I did not take an after picture, but hope to soon. I am still in the middle of end of school chaos, so I have had very little time to make things this week. Instead I thought this would be the perfect time to share another one of our favorite parties. I mentioned in an earlier post that Kara has a love of animal themed parties. The year she turned 7, she wanted a zoo animal party. The closest zoo is about 45 mins away, so it was not ideal for us to travel to the zoo. Instead, we did our best to have a pretend zoo at our house. For our photo op, we had each child pose in the monkey cage. A friend who has a blinds business gave me the cardboard inserts to make a monkey cage. Originally, I had hoped to make a standing cage wall to stand in front of our deck to look like there were two sets of cage bars. That did not work out so well, so instead we attached the "bars" to our garage and the girls stood behind it and posed like a monkey. We played pin the tail on the lion. I made the lion out of yellow posterboard and brown card stock. We played a game called Please Feed the Elephant. Each child was given a spoon and a marshmellow circus peanut. They had to jump over a series of pool noodles and feed the elephant as quickly as possible. My oldest daughter is holding the elephant board. There is a small hole at the top of the trunk, to insert the circus peanut. I was able to use this game board at two of our parties, this party and our safari party for my son. Each of the girls were given an animal bucket hat. Here they are playing a jumping frog game I found at Target. For our craft we make a monkey paper plate craft that can be found on Oriental Trading here. Do you need Star Wars party ideas? If so, you must check out the great ideas from Kitchen Fun With My 3 Sons. In addition to these super cool Storm Troopops, she had many other Star Wars themed ideas such as Chewey Wookie Cookies , Little Leia Cupcakes and more. 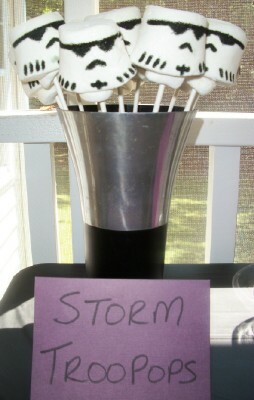 I could have used some of these ideas last year when we won the Star Wars Clone Wars Houseparty. Are you still looking for ideas for your Memorial Day picnics this weekend? 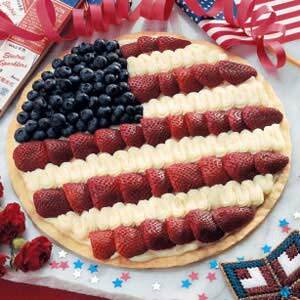 How about a patriotic fruit pizza? 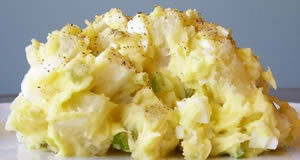 Taste of Home shows you how to make this tasty treat here. 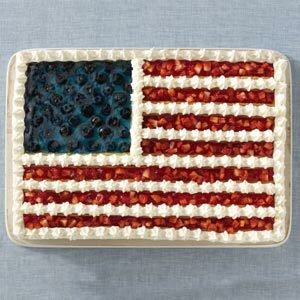 Visit the link here to see how to make this flag cake from Taste of Home and help support the troops. Taste of Home will donate 10 cents to the USO for every person who visits the link by July 4, 2011. (Up to $100,000). 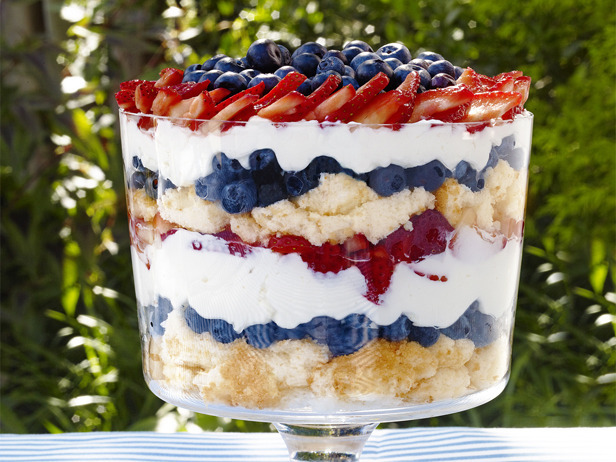 So help the troops and get a fun new recipe! 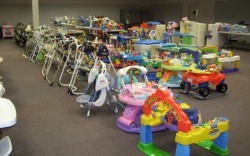 This was at the end of the mom to mom sale at my daughters school. Kara holding her "new treasure" that she bought from another table. She did sell on of her toys for $3, so I said it was okay to buy this cute seal for .75. It poured all day and into the sale time. Unloading the cars and vans was not fun in the rain, but they had people on had to help. We had a lot of people coming through early and then it tapered off halfway through. I did make a small profit and I had fun. Overall it was a good experience, and I will try and sell again next year. I dont even mind that I have things left over because my neighborhood is having a sub wide sale in a month. I already have the kids clothes ready! I will be participating in a mom to mom sale later today, a sale that I am NOT ready for. With everything going on in the last few days, I still have a lot to do. I will be posting about the sale and more party ideas soon. I had to go to Meijer tonight because we are out of a few things that the kids need for their school lunch. I ended up buyin a few things that I would not have, it if had not been for a few shopping no nos. I went when I was starving and I brought my persuasive 9 yr old. Kool Aid was on sale at a rock bottom price. Normally $3.29, this week on sale for $1 each. 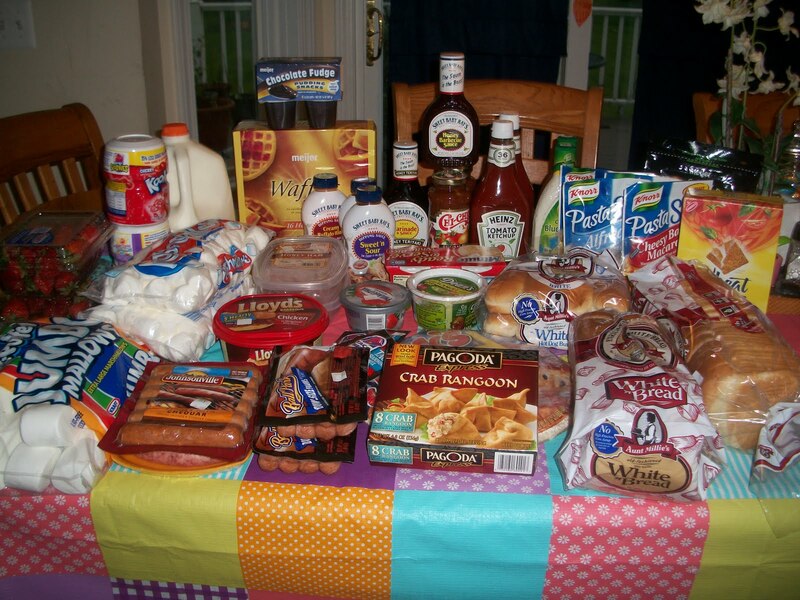 Now for the items with coupons..
Sara Lee lunchmeat on sale $3.50. I had two $1 coupons, final price $2.50. I recently got an email from Frito Lay welcoming me to their Frito Lay Program. 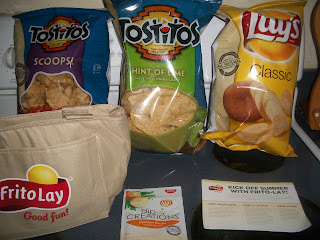 Recently I had signed up to be part of the Frito Lay program but I had forgotten that I had. The email told me I had been selected to receive some of their products to try. Woohoo! 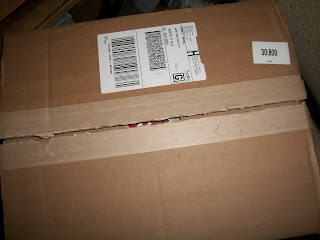 Today I was surprised to see a large brown box next to my garage door. 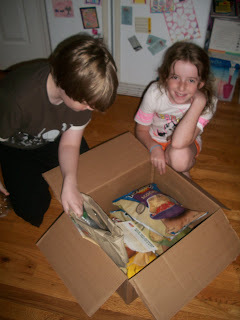 We opened it and the kids were so excited to see what was inside. 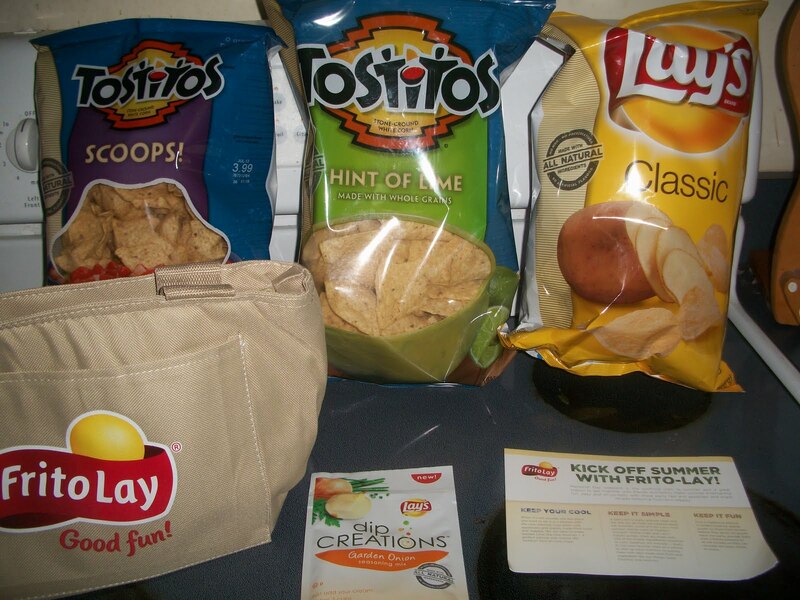 I was sent 3 different bags of Frito Lay snacks, a thermal bag, a package of Dip Creations and a few recipes to try. Thank you Frito Lay for selecting me to receive such a nice snack pack. I am using the picture of a stressed out cat driving a car again, because that is the perfect symbol to what has been going on here in the last few days. Some of my stress yesterday was caused by one curious cat! 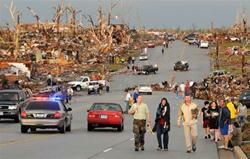 As you all know, my mother, step dad and several family members were in the Joplin tornado. Thankfully they are all fine, but it has still been a difficult couple of days. I can't stop watching the news coverage of the place I have visited numerous times in the last 20+ years. I have driven down Rangeline hundreds of times, but now many businesses are no longer standing. Neighborhoods I have driven through, also gone. While I feel there is nothing I can do 800 miles away, I have been heartened to hear that they have so many volunteers and donations coming in, that they are overwhelmed with people who want to help. Back on the homefront, things have been stressful too, but at a much smaller scale. Last night my son's cat Milo, pushed opened the screen door and went outside. It was already dark outside when we noticed what he had done. Reeses our Tortie, had gone outside too, but she was near the front porch and was quickly brought inside. Milo went on a little adventure for about 4 hours. We searched for quite awhile. The kids were so worried and Kara was in tears. Finally we had to stop because it was extremely late and a school night. During the night, I could not sleep. I decided to go do a door check around 2:30 am. I was so grateful to see Milo standing at the back door waiting to come back in. He got a big hug and a talking to! I don't know what he did on his adventure, but hopefully he does not go on one again. Now when we open the back door, the screen door needs to be LOCKED! I was finally able to fall asleep around 3 am. Another stressful thing on my mind was my son's band concert tonight. He is on the Autism spectrum and the last 2 band concerts have been difficult for him. The March concert was so difficult for him that he had a major meltdown in the middle of the concert in front of at least 200 people in the audience. The band teacher and I have been discussing what to do now that the final concert of the year is here. This time there will be even more parents and grandparents because two grades would be playing. The concert was to be so big, they were changing the venue to the high school. The band teacher and I have decided that my son might not be able to handle all of the changes, so we are excusing him from this concert. While I would have liked to hear them play, I am grateful for an evening with a lot less anxiety. So in a few hours, our final countdown is 6 1/'2 days. We still have one field day, the talent show and two practices, a mom to mom sale, an end of the year party and an intermediate school graduation. I think that is plenty to do. Don't you? Need a gift idea for dad? Sometimes gifts for dad can be hard to pick out. 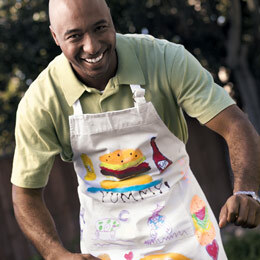 If the dad in your life, likes to grill how about making a grilling apron. You can see this idea and more here on FamilyFun.com here. Are you thinking ahead to June 19 and Father's Day? 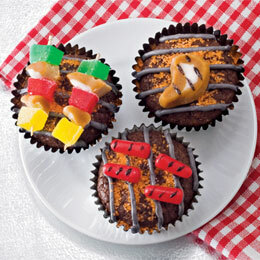 How about these adorable grill cupcakes that are perfect for a celebration for dad. You can see the recipe on how to make these cute cupcakes on FamilyFun.com here. 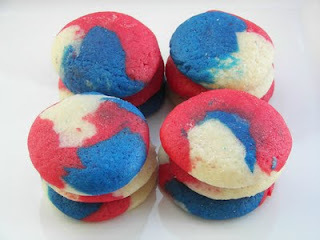 I recently featured kool aid colored cookies from Red Couch Recipes.. Today her red, white and blue version are being featured on BettyCrocker.com. These cookies would be a great addition to a Memorial day picnic! You can see how to make them at Red Couch Recipes here. 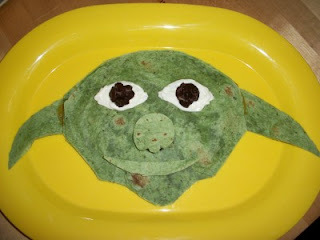 I LOVE, LOVE, LOVE all of the cute food ideas of Kitchen Fun with my 3 Sons. Everyday she posts the most original food that she has made for her 3 sons. If you have a Star Wars lover about about this yoda quesadilla to get them to eat a healthy meal. 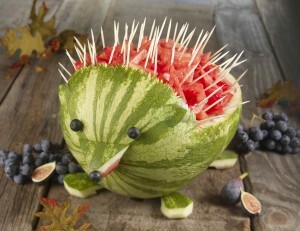 Be sure to check out Kitchen Fun with my 3 Sons to see how to make this and many other adorable treats. Memorial Day is this coming weekend! If you plan on having a bbq or get together how about something like these patriotic fruit kebobs by from glitter to gumdrops . 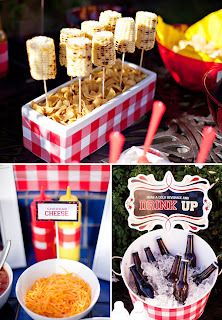 I saw these red, white and blue beauties on Pinterest and knew they would be perfect for your summer parties. Make sure to check out from glitter to gumdrops because she has many fun ideas and likes to put things on sticks. As you might have heard on the early news this morning, the tornado damage was extensive and many people lost their lives. I just talked to my mom again and both of my extended family members that were unaccounted for were found safe last night. The one that was in the nursing home by the hosptial was found by her husband just sitting near the building waiting for help. He had to park a few miles away and walk to the damaged area. He was able to take her home to rest, because their home had been spared. My SIL temporarily did not know if her mom and grandma were okay, but both are safe. A 100 year old tree fell on her mothers driveway but luckily missed the house. My step grandma and step aunt are pretty banged up. They rode out the storm in a closet and had to be dug out of the wreakage. My mom and step dad were supposed to be at that graduation party during the time the storm hit, but had left just a little while before. My 3 neices were in a car during the storm but had no idea what was going on because they did not hear sirens. They were able to drive to safety by the grace of God. So many people are affected by this storm and possibly more today as they are currently under another storm warning. Al Rocker was broadcasting from Joplin and had to sign off to find shelter. My SIL who grew up in Joplin has started a donation site through FirstGiving.com if anyone is interested in helping all the people who desparately need our help. All money raised through this link will go to the Red Cross. You can find the donation site here. With my busy schedule, I decided to take it easy most of the day. Then this afternoon I took one of my daughters to go buy a swimsuit and some shorts. She needed a swimsuit for her end of the year party next week, and her suit from last year no longer fits. Just as I sat down the computer to possibly post, I got a phone call from my mom. She didn't even say hello.. She just said.. "We're okay!" I asked "What?" She repeated "We're Okay!" I asked her what she was talking about, because I had no clue. She then proceeded to tell me that they had just been hit by tornado. You see my mom lives in Joplin, Mo. Luckily she does not live in the part that was just destroyed. She had, though, been in that area earlier in the day. Today was Joplin High School's graduation day. Luckily the ceremony had been at the local college because the high school was destroyed. I don't like to think about what could have been if the tornado hit a few hours earlier, and if graduation was in the high school. Many other buildings, houses and businesses have also been destroyed. One of the hosptials was a direct hit. Some of the patients inside were killed, all the others had to be transported to other locations. I have 3 neices who have an older brother. He graduated earlier today, and they had been near where they tornado hit celebrating with him. Luckily they are all fine. One of my neices posted on Facebook rather quickly in her status that they were okay. My SIL temporarily could not find her mom. I have heard that she is fine too. I am noticing a trend that I am not sure that I like. In the last 3 months, several of my family members have had close calls. My husband was in Japan on March 11 for the massive earthquake/tsumani. He was SW of Tokyo, so he was just shaken up a bit but okay. 3 weeks ago my dad and step mom were in the massive tornadoes that hit Alabama, Mississippi and Georgia. My dad was 15 miles away from the Ringgold, Ga tornado. My step mom was visiting her family in Mississippi and several touched down in the areas around her. Now tonight, my moms town was a direct hit for a massive tornado. She is fine, but as of right now, more than 24 people are confirmed dead with many others missing. I am sure people she knows have been directly affected, and it will take quite some time for the town to recover. I am so thankful that the Lord has spared my family members from serious harm. I do hope though, that the too close too home trend does not continue.. My thoughts and prayers are for all the families dealing with the aftermath of all the recent tornadoes and floods. I went on a Target run today. I had a few Target coupons about ready to expire that I wanted to use. I found a few items on clearance which made the trip even more worthwhile. 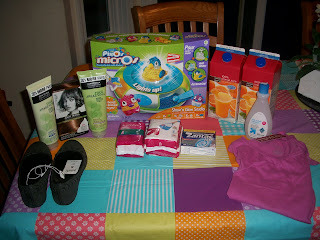 I saved $28 in coupons and $28.96 in clearance prices. I do not have the exact amount I spent because I also bought 2 plastic bins and 2 bottles of vitamins (not pictured).According to my calculations it was around $23 for all in the picture. 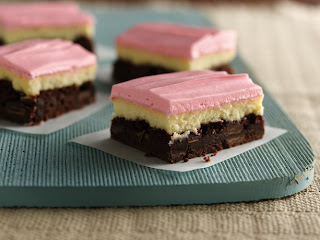 These neapolitan cream cheese bars look so yummy. They are a featured treat on BettyCrocker.com. You can see this recipe and more here. 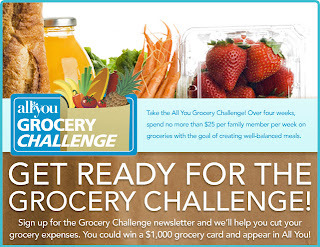 All You magazine is having a summer grocery challenge where the winner will win $1000 and appear in a future issue of All You. 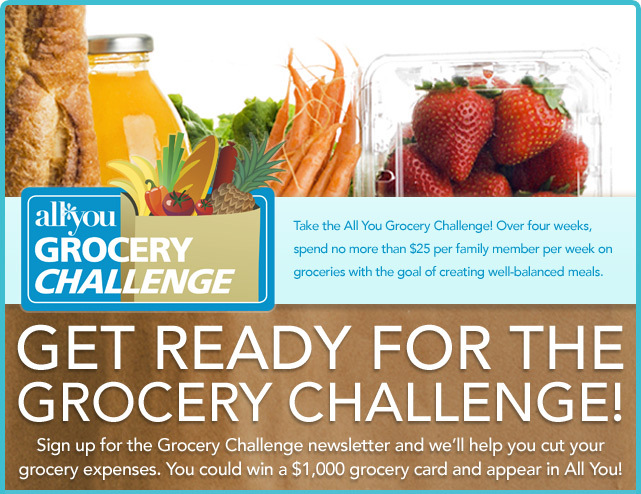 The challenge is to spend less than $25 per person on groceries each week during the 4 week challenge and be creative with well balanced meals.. The challenge begins on June 19, and ends on July 16. During the week of July 16-23 you will submit your resutls to All You. To enter this challenge, submit your email to All You here. Memorial Day is next week already! Where has the year gone? If you are planning a summer bbq, the site Hostess with the Mostess has some really fun bbq ideas and free printables to make your party memorable. You can see more pictures and print your free printables here. Our day started early today. I have been a volunteer at my daughter's school for several years and this morning was the annual volunteer breakfast. Since was my last one at this school, I wanted to make sure I attended. We had danishes, bagels and fruit. Yum. During the day I was the room mom for her class. The room moms attend each event with a water wagon and were an extra set of eyes to keep track of all the kids. We were very lucky today, after a week of cool temps and rain, we had a beautiful sunny day. We had many fun events like the quarterback challenge. 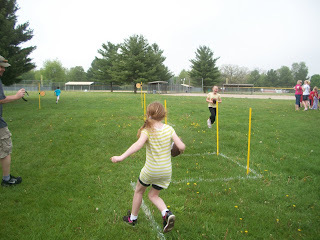 Here she is kicking the ball during an obstacle course, and actually made it in the goal.. Yea! This event was a lot of fun. 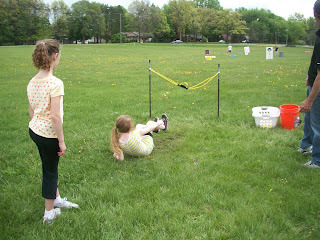 Each child got 3 water ballloons to shoot at targets. I believe Kara was the only one who hit two of them. In this picture she hits the white Target in the upper right hand corner of the picture. With her 3rd balloon she actually hit her gym teacher who was acting as a live target. I was holding a box of popsicls at the time, so didnt get that shot. 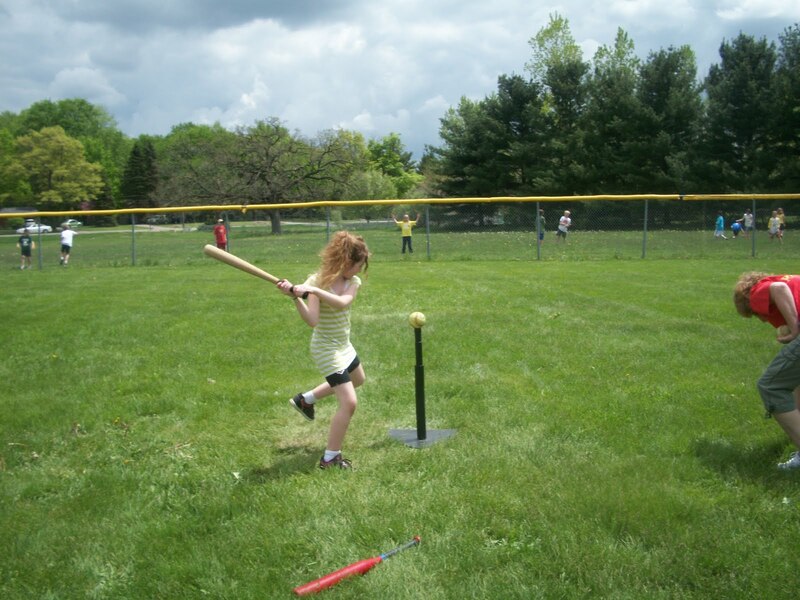 In the home run derby, each child tried to hit the ball over the fence. She was not able to hti that far, but did well when I told her to pretend the ball was her brothers head.. LOL!! 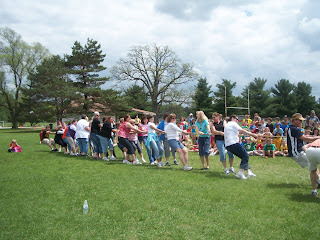 One tradition at our school is the final event of the day is a tug a war between the teachers and the winning class. This year our class was elimimated pretty quickly. Kara did not mind that too much because she deeply dislikes the tug of war. She gets hurt at this event, pretty much every year. This year she did not, probably because she convienently was out place when a few of the matches started. 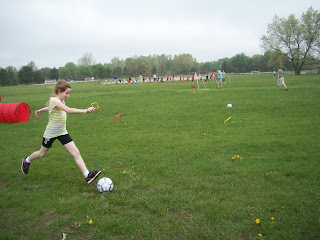 Some of the other events were basketball (she got a few baskets), soccer, and a golf ball pitch. For a child who is not big into sports, she did quite well today..
After all the outdoor events were complete it was time for all of the kids to go to the gym for an assembly. We watched in amazement as a juggling group juggled on unicycles and the dad of the group balanced a table on his chin. It was a long, fun filled day and since we got home, I have kind of been in a vegetative state. I am just too tired to move much tonight. We are now in single digits for the number of school days left. Next week the kids have a field trip, band concert, talent show practice, Spring Fling, and a field day at my son's school. 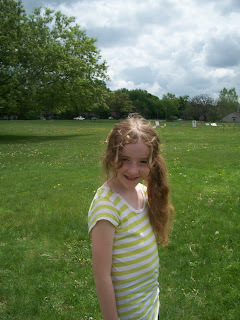 I am looking forward to the much slower pace of summer vacation. I just received a magazine that is new to me called Fresh Home . I believe it was FREE one day during a special deal. Not that I had the chance to go through it, I am super excited. There are some really fun and easy DIY projects for your home, recipes and even party ideas. In the Spring 2011 issue, I love the article that has some fun decor with an international flair. Having a Mexican Fiesta? How about adding some Sombrero Lights? You can see how to make them here. How about some Asian decor? You can see how to make this caterpillar paper lantern here. This Indian inspired ribbon curtain, would look so cute in a girls room or at a girl themed party. You can see how to make this curtain here. If you like what you see you can get Fresh Home for a great deal on Best Deal Magazines for a great price. Use code PXSS522 for an additional 15% off the $4.69 a yr price. Family Fun is also on special this week.. Now until 5/22 use the code WKLYSPEC to get the already low price an extra 20% off.. It will be only $3.76 a year !